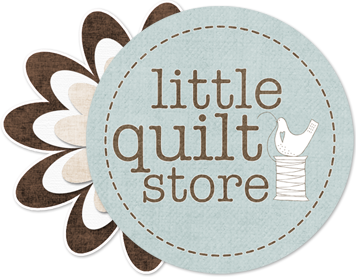 ...drum roll please! 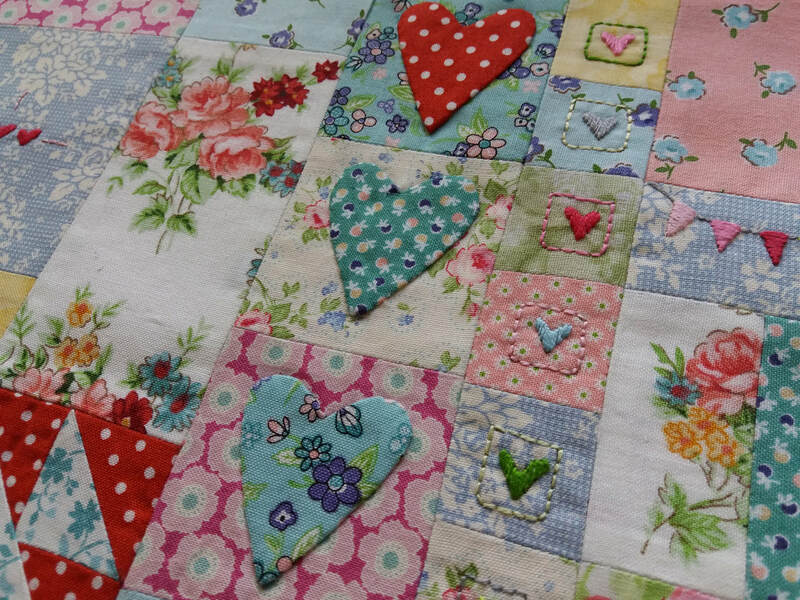 Here's a picture of block 6 of "Hearts and Happy Flowers" -this 10 part BOM by the Australian designer Leanne Beasley was supplied along with all the fabrics from Cross Patch in Wales here in the UK. 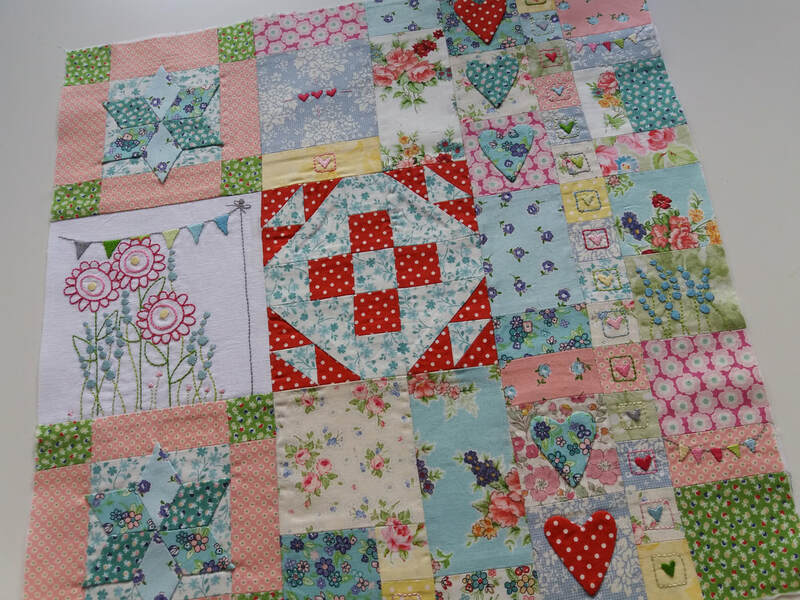 This block has been made with a variety of techniques - machine piecing, hand embroidery, English paper piecing and hand applique. 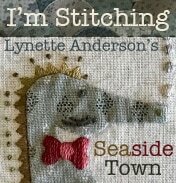 ...living not far from the Suffolk coast, this is giving me lots of ideas for future projects. 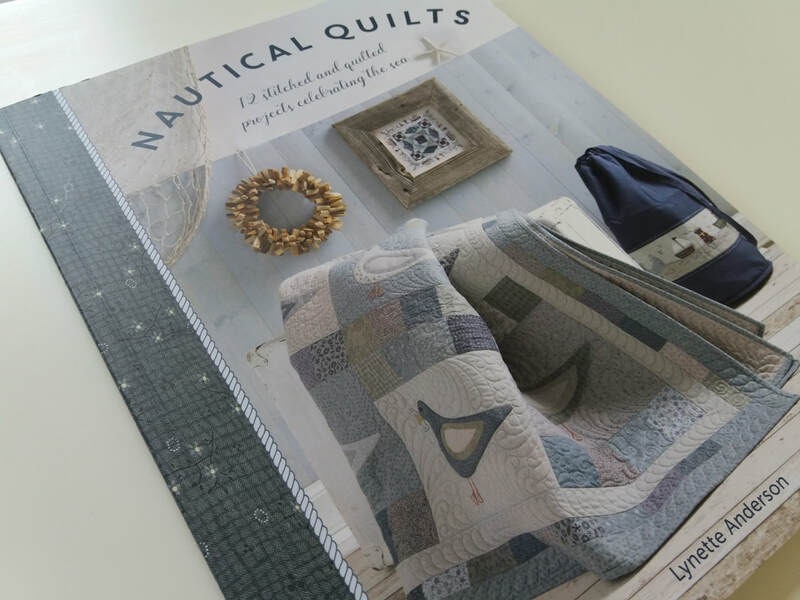 There's such a good variety of projects in this book, the only problem is deciding what to make first! 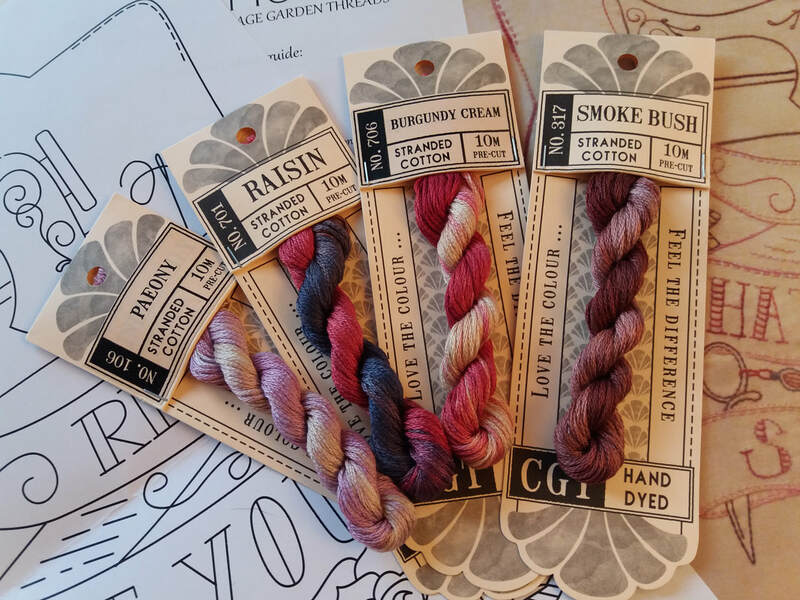 These GORGEOUS threads arrived in the post a few days ago - they're the next instalment of the Cottage Garden Threads Vintage Sewing Club. 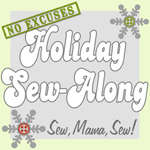 I signed up to this a few months ago with Cross Patch and I'm so glad that I did. 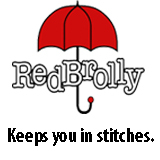 These threads are lovely to sew with, and the colours are absolutely glorious. 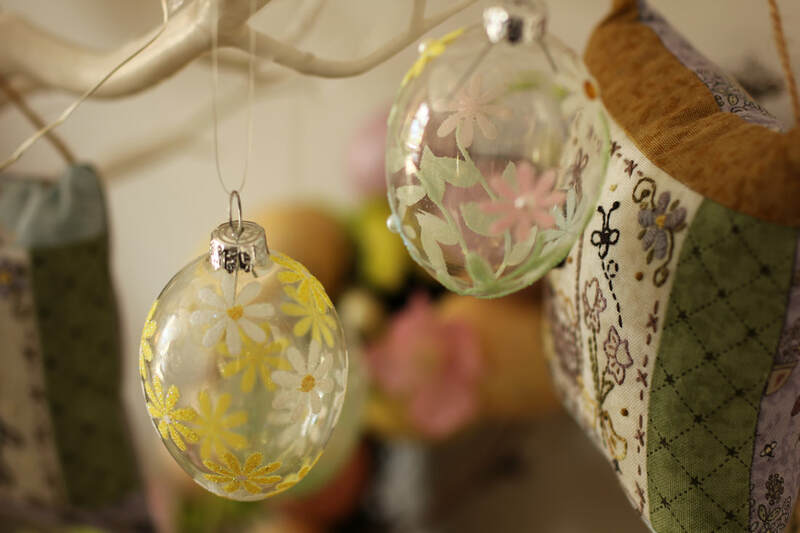 ...these gorgeous decorated glass eggs are so pretty. 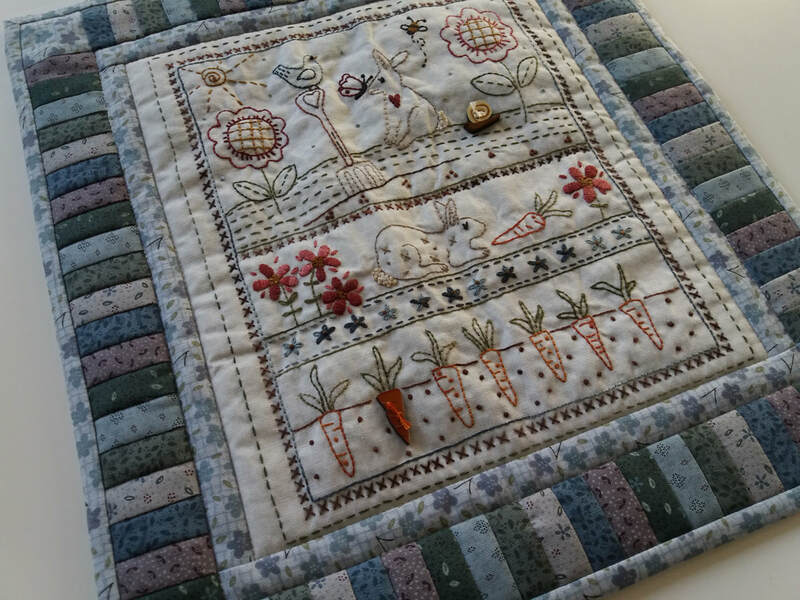 Unfortunately I gave away all my fabric scraps that were from the same collection that the Spring Ornaments were made from, so the Bunny Garden quilt that I shared a picture of yesterday was made with other fabrics - I may well have to source some more LA pastel fabrics and redo that mini-quilt at a later date! 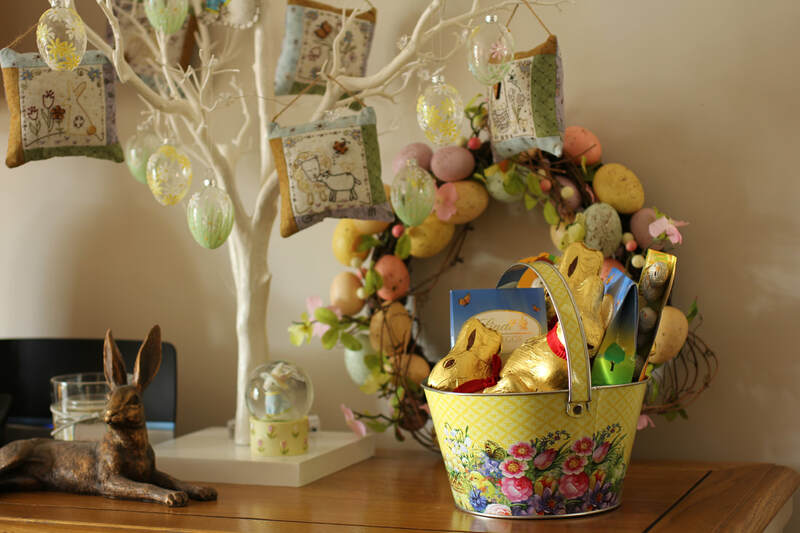 I've been decorating my home for the Easter holidays, and have added some homemade pieces along with flowers and spring-themed ornaments. 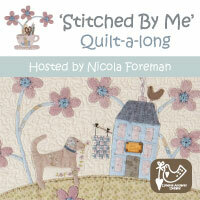 This mini-quilt pattern is my most recent project, and was finished just in time! 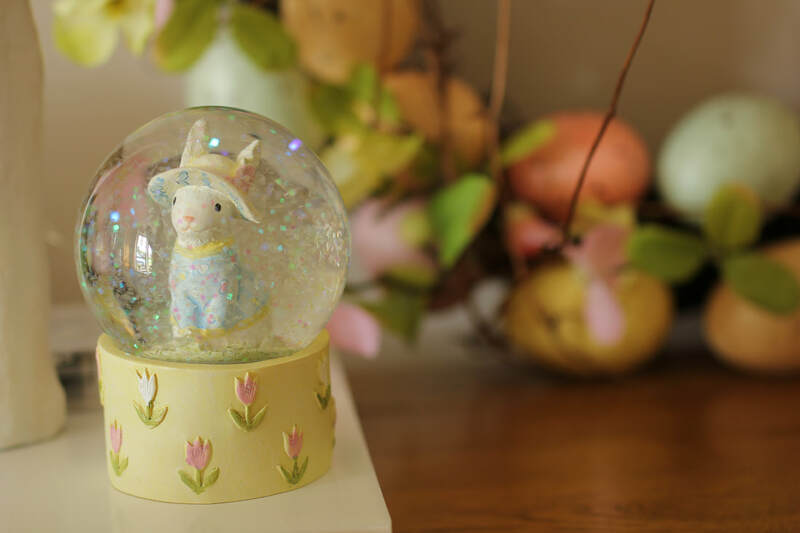 The pattern is "Bunny Garden" by the Australian designer Lynette Anderson Designs. 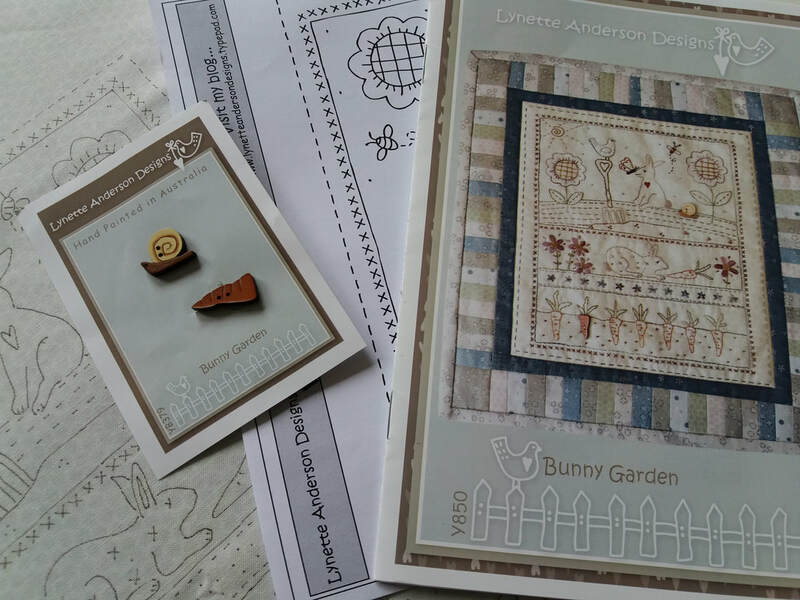 I'd bought the pattern and the hand painted wooden buttons that are used to embellish it from Cross Patch, an online shop in Wales, back in 2016! 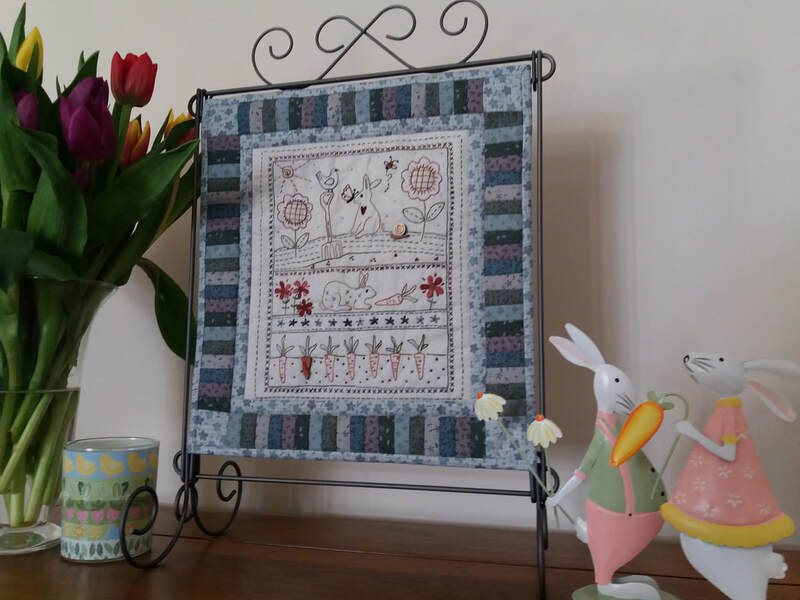 ...and here's the finished wall hanging! 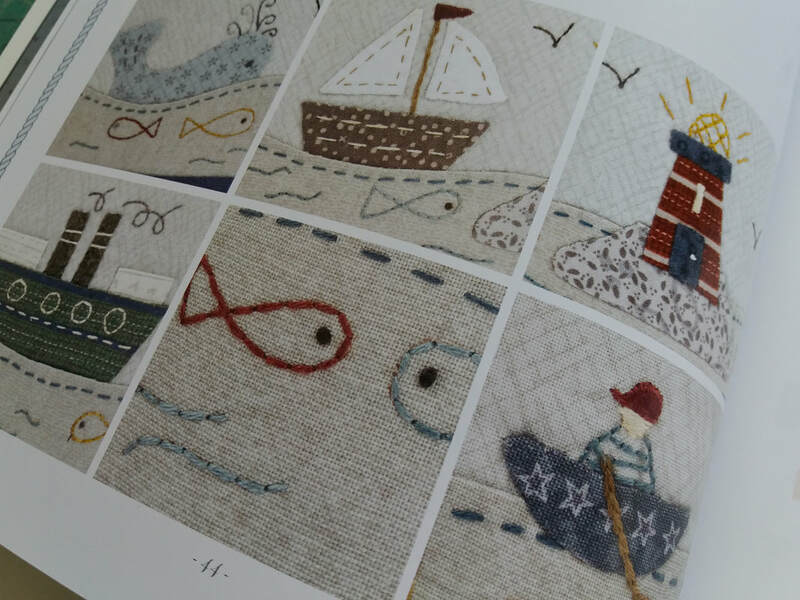 The hand embroidery was completed using Valdani variegated threads and the hand painted wooden buttons have been stitched into place. 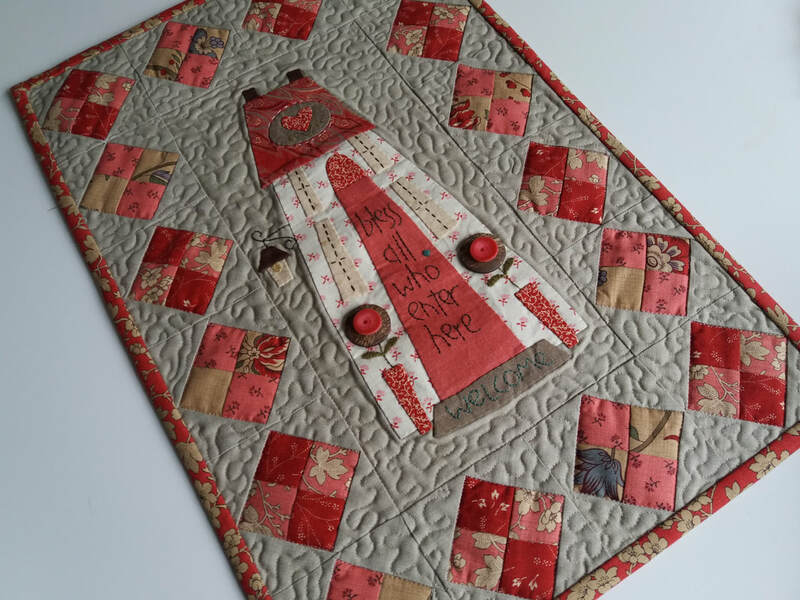 This was machine pieced very simply, just stitch-in-the-ditch, using the same Aurifil 50wt thread that was used to piece the mini-quilt together. 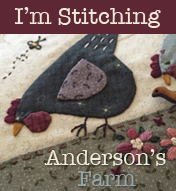 I've added a narrow quilt sleeve on the back, and it's ready to be displayed on a decorative quilt stand, along with other spring-themed decorations. ...and here's the finished key case. 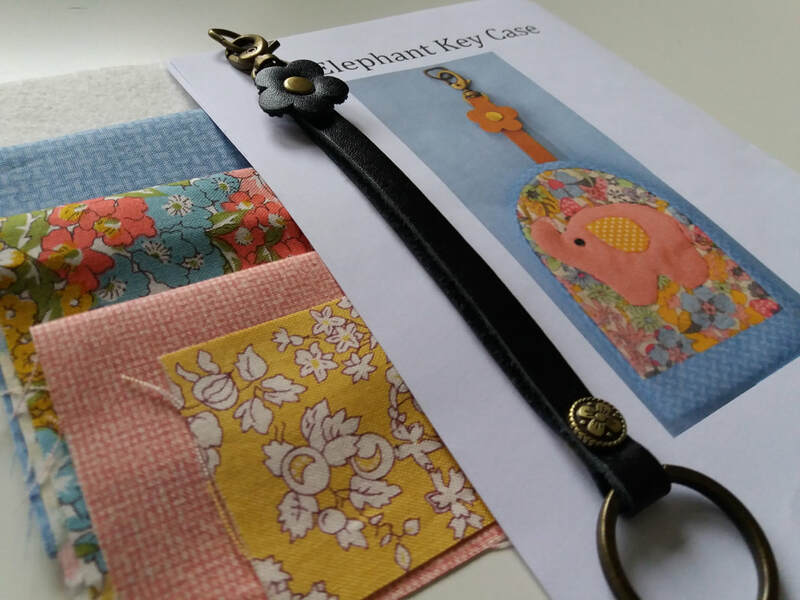 This is perfect for clipping onto a tab in my handbag and in my tote bags, so I don't loose my keys! 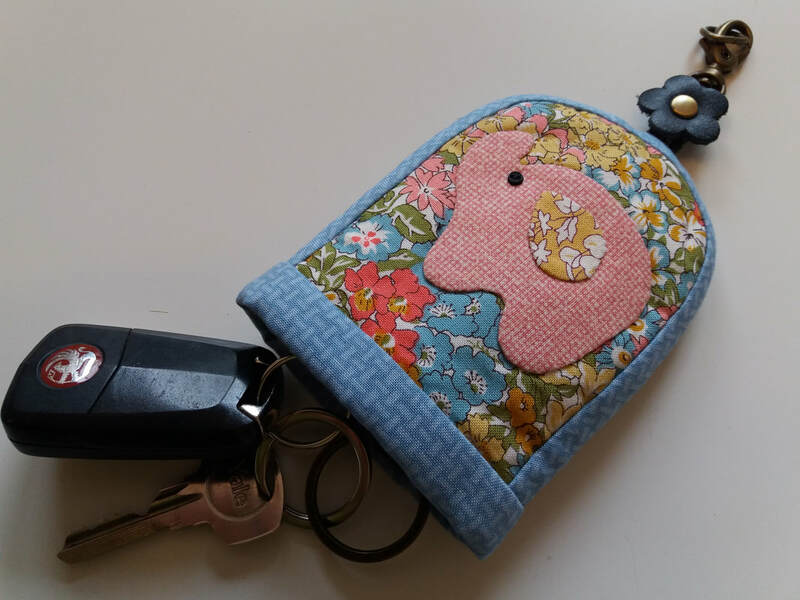 I bought another pack of 2 leather key straps from Sew and So's, so I can make a couple more of these cute key holders for friends. 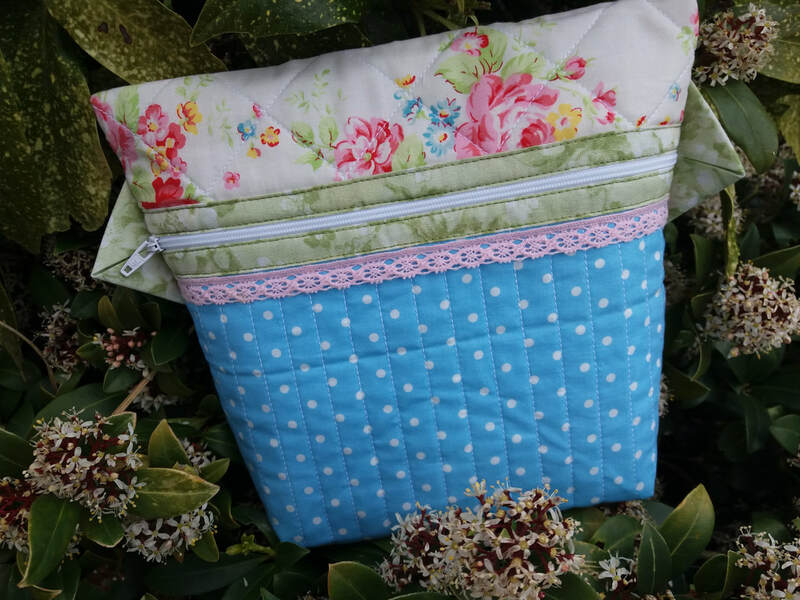 I needed another cosmetic bag as a gift for a work colleague, so a few weeks ago I spent a couple of hours in my sewing studio, preparing this little bag. She particularly likes pink fabrics, but all I had in my fabric box was a small piece of floral Lecien with pink flowers on - this was was perfect but I didn't have enough to make the complete bag with the same fabric, so I added some blue spotty fabric and kept the pink theme with some vintage lace trimming. 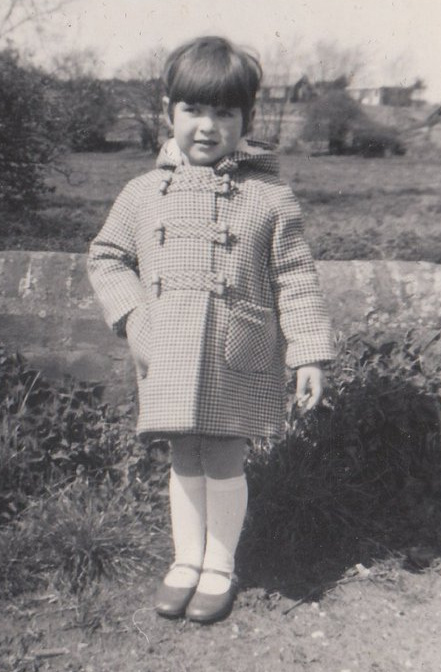 Now the gift has been delivered I can share a picture - she was really pleased with it! 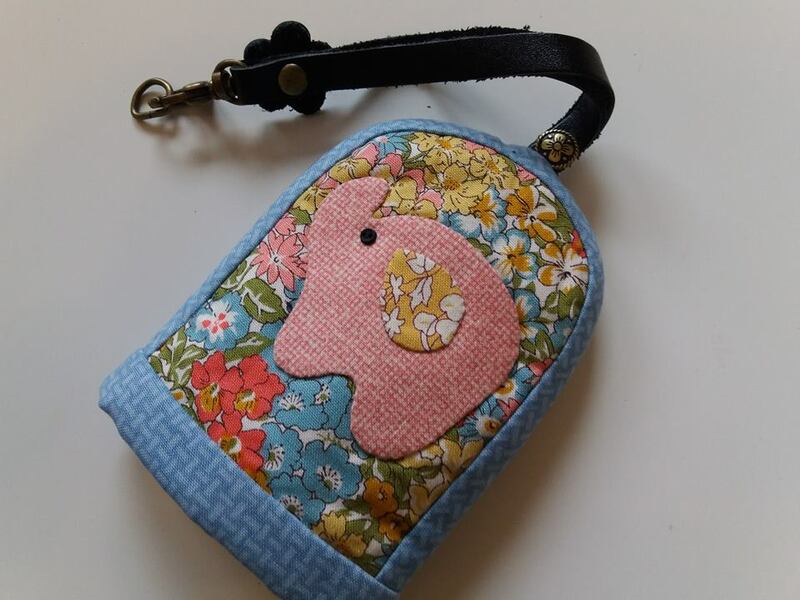 ​The pattern is, as usual, Anna's Sminkepung by the Norwegian designer AnnAKa. 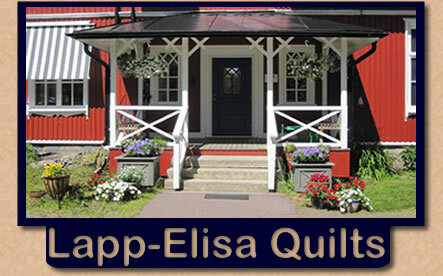 These patterns are only available from quilt shops in Scandinavia - there are some links to these shops on the right hand toolbar of my blog. Oh and the instructions are in Norwegian too, but I just followed the diagrams! 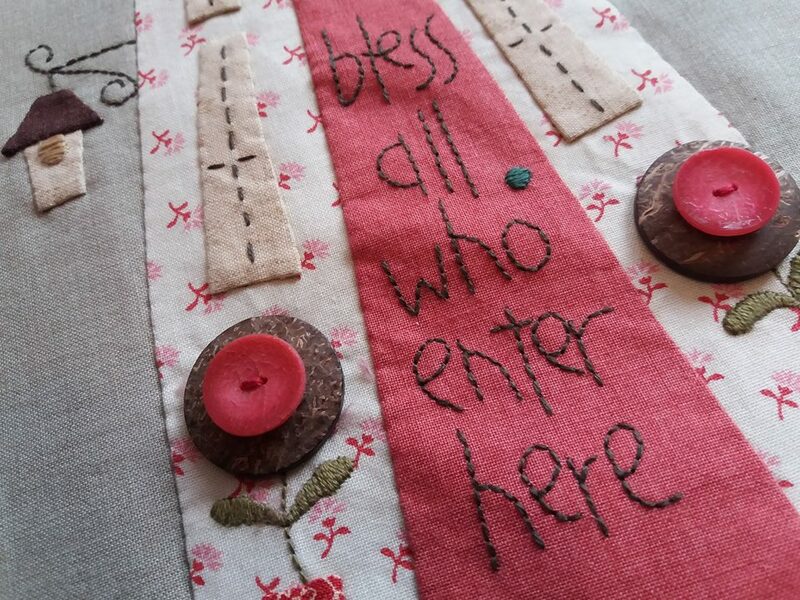 Here's a sneeky peek at the applique for Bless All Who Enter (pattern by the Australian designer Natalie Bird of The Birdhouse Patchwork Designs). 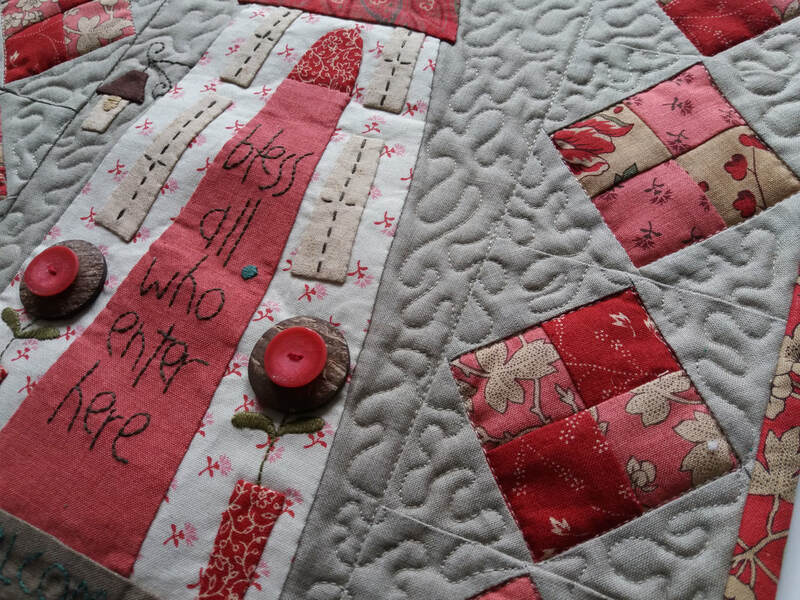 Instead of satin stitched flowers, I decided to use buttons - as I didn't have red buttons the right size, I layered buttons up in different colours/sizes. I'm really pleased with this effect. 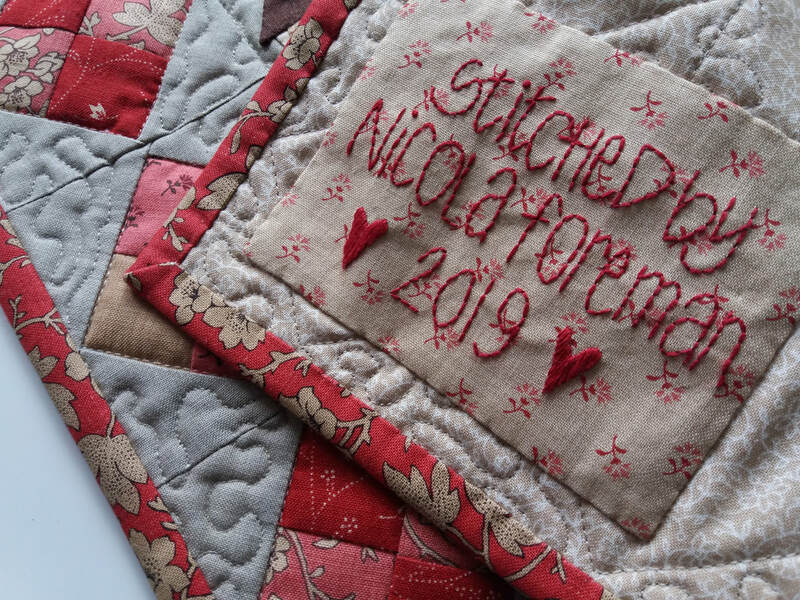 The stitchery has been completed using DMC threads. The fabrics used for this are by French General for Moda.